In its Report On Israeli Human Rights Violations in the Occupied Palestinian Territory for the two-week period between 08– 21 September 2016, the Palestinian Center for Human Rights (PCHR) found that Israeli forces continued to use excessive force in the Occupied Palestinian Territories, killing 8 civilians in the West Bank and Gaza Strip. Among the killed was a Jordanian tourist, who was killed in occupied Jerusalem, and 5 children. 13 civilians, including 4 children, were wounded in the Gaza Strip and West Bank. Shootings that resulted in the injury of Palestinians were as follows: On 12 September 2016, Israeli forces wounded 4 Palestinian civilians when former moved into al-Wa’ar area, east of Asirah village, southeast of Nablus. On 21 September 2016, Israeli forces stationed at Jaljulia military checkpoint opened fire at Bara’a Owaisi (13), from Qalqilya. As a result, she sustained a bullet wound to the leg and was immediately abducted. The wounded girl was walking without listening to the soldiers’ shouts ordering her to stop. Israeli media confirmed that the girl did not attempt to carry out a stabbing, however, she was only moving forwards. Israeli forces continued to support and encourage the illegal takeover of Palestinian land by armed Israeli settler militia groups. 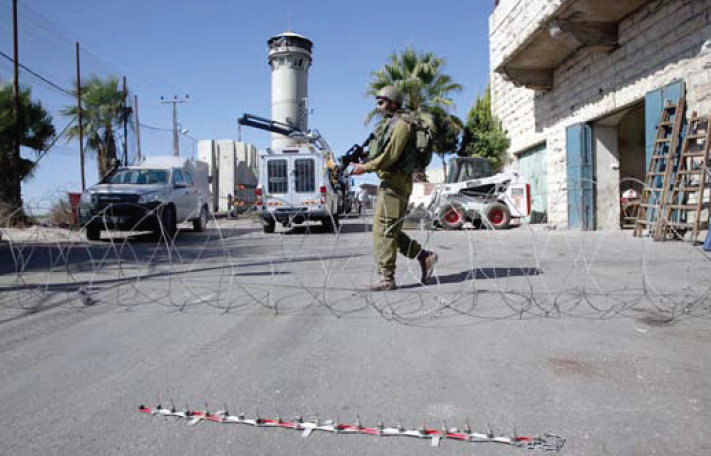 Israeli troops engaged in an excessive use of force against peaceful demonstrations protesting settlement activities and the construction of the annexation wall. Nour al-Deen Maher al-Refa’ie (17) from al-Bureij was wounded with a bullet to his right hand and thigh and Fayeq Yousif al-Maqadmah (17) from Khan Younis was wounded with a bullet to the left thigh. Due to the number and severity of Israeli human rights violations over the past two weeks, the PCHR made several recommendations to the international community. Among these were a recommendation that the international community, in light of its failure to the stop the aggression on the Palestinian people, to at least fulfil its obligation to reconstruct the Gaza Strip after the series of hostilities launched by Israel which directly targeted the civilian infrastructure. In addition, the PCHR calls upon the United Nations and the European Union to express a clear position towards the annexation wall following the international recognition of the State of Palestine on the 1967 borders, as the annexation wall seizes large parts of the State of Palestine.